Microplastics are of increasing concern because of their widespread presence in the oceans and the potential physical risks they pose to organisms. This is the view of two of the world’s most eminent authorities on the subject, Professor Richard Thompson of Plymouth University, and Professor Kara Lavender Law, of Sea Education Association, Woods Hole, USA. Microplastics have now been documented in all five of the ocean’s subtropical gyres – and have even been detected in Arctic sea ice – with some of the highest accumulations occurring thousands of miles from land. These plastic bits have been found in organisms ranging in size from small invertebrates to large mammals, and are known to concentrate toxic chemicals already present in seawater. This raises concern about the potential consequences to marine organisms. 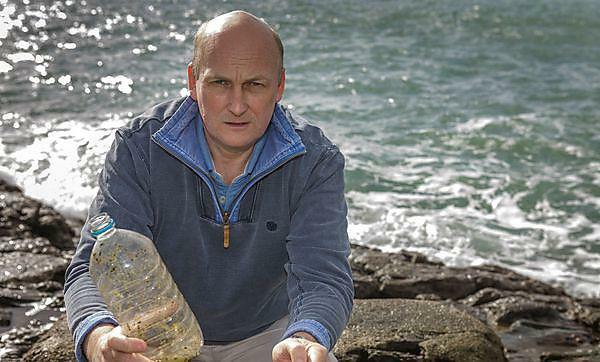 “Our scientific understanding of this environmental problem is accelerating rapidly, with many new research efforts that go well beyond simply documenting the presence of plastic in the ocean,” said Professor Law. Most studies of ocean microplastic focus on the debris that floats at the sea surface, but this leaves other potential collections of plastic unaccounted for. Despite open questions such as these, the authors say that microplastics are already something to worry about, and that efforts are needed to divert the source of this debris away from the ocean, or to “turn off the tap”. This was the message that Professor Thompson delivered to Senator John Kerry last month at the US State Department’s Our Oceans Conference: Marine Pollution. Both say that plastic waste should be viewed as a valuable resource to be captured and re-used, which would simultaneously reduce the amount entering the environment. Policy initiatives have been gaining momentum within the UK and the European Union. In April this year the European Parliament voted to reduce the consumption of single use plastic carrier bags and phase out bags that fragment rather than degrade. There have also been discussions within UK parliament about the efficacy of plastic microbeads (microplastics used in cosmetic products that enter the environment through wastewater), in cosmetics. In the US, Illinois recently passed legislation banning microbeads with similar legislation pending at the state and federal level. To read the full paper in Science, please follow the link to their website. Major unanswered questions remain about the amounts of microplastic debris that might be accumulating on the seafloor. We also know very little about where, geographically, are the largest inputs of plastic to the marine environment.